Think you know Reactor sticks? Think again. For 2015, the entire Reactor line of sticks has been revamped to offer goalies with even more options while choosing their companion of choice. The composite construction of the previous Reactor line has been replaced with a more traditional and reliable foam core construction that goalies of all skill levels will love. Goalies may recognize the 7000 stick as the same construction as the Bauer 7500 that was ever so popular at the professional and collegiate level. For years, professional players had been requesting the 7500 stick, preferring its good balance and exceptional durability over pricier composites. The Reactor 7000 is a continuation of this construction, bringing the success of the 7500 to a new label and graphics. The paddle of the stick is a traditional high-impact polyurethane, complemented nicely by an aspen core shaft with carbon strips running the length for reinforcement. 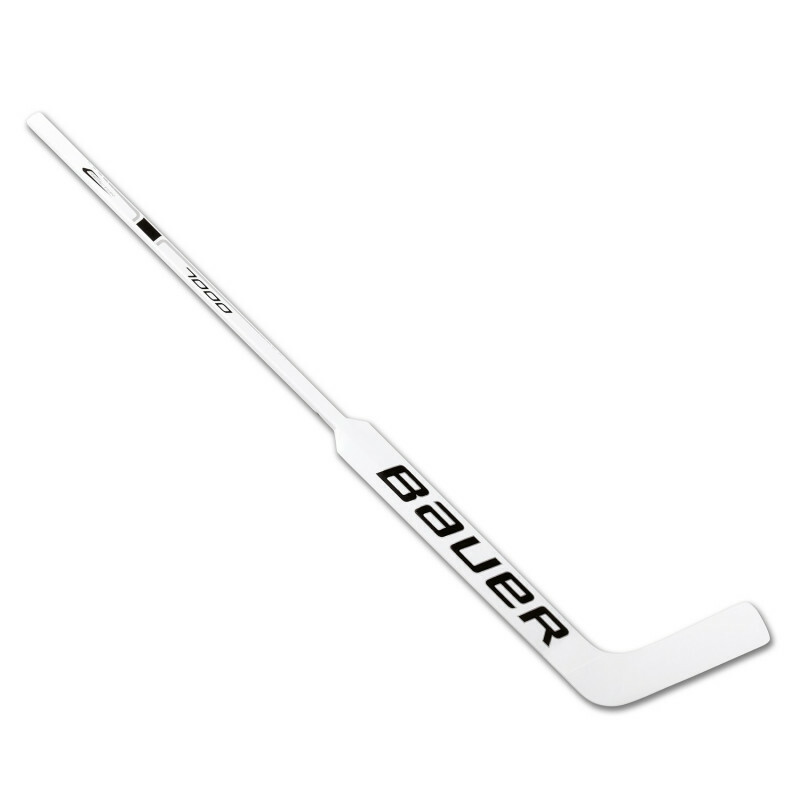 The blade of the stick is a traditional polyurethane foam core, with added reinforced shooter strip on the front for added blade stiffness and more reliable puck deflections. Liked the 7500? We know you’ll love the Reactor 7000. Note that the New Reactor line of sticks has changed its paddle measurement system. A Reactor 9000 paddle length of 25” will equate to a Supreme paddle measurement of 26.5”.